There are many tools out there for designers and developers, but getting by free and good ones is not that easy. That is why I am sharing Eight Cool Apps That Show The Power Of HTML5. Read each entry in the list and see which tool suits your needs best. You are welcome if you want to share more html5 tools and resources that our readers/viewers may like. Do you want to be the first one to know the latest happenings at SmashingApps.com, just subscribe to our rss feed and you can follow us on twitter and follow us on Digg as well to get updated. vintageJS is a tool where you can upload your images and apply a custom retro, vintage look to them for free. Just try it out: upload your photo, apply the vintage effect and share the retro image it with your friends via twitter or different social networks. You can drag and drop your truetype (ttf), opentype (otf), scalable vector graphics (svg) or Web Open Font Format (WOFF) fonts in the left hand side module on this website and it will be added to the list. The last font dropped will change the font-family of this text and the above title on the page for preview. 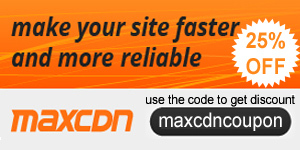 This is simple yet very useful site to get a notice when your web page/website goes down. It will notify you by emailing you. This is IMGMI, a no frills image uploading service. Here, you don’t need an account, you don’t need to see ads, all you need is images. A threshold filter is a html5 app that converts grayscale or color images into high contrast, black and white images with ease. This threshold filter has been created with canvas. Klowdz lets you unleash your creative cloud shape hunting skills and share them with the world. You can pick from a large number of “blank” clouds, imagine and draw, then save and share with the world. Great list as usual. iPaint is a really good version of a canvas based drawing app. Its really very interesting blog,I read whole story of this article its very nice. Great article! Love Klowdz for drawing shapes in clouds, but noticed a few typos there in the article. Good selection, I’ll be checking out the ‘CSS3 maker’ and the ‘was it up’ still amazed by the speed html5 has been embraced and some of the things that can be achieved using it. Interesting list. I especially like the Font Dragr and IMGIM. The capabilities of HTML5 are amazing and the integration of SVG and multimedia elements makes it a lot easier for designers, limiting the need for extra plugins and and API’s. With all the browsers such as the new version of Chrome and IE9 making them more compatible with HTML5 it will be a powerful tool for designers and web users alike.